This history of modern anarchy highlights the “outsider” perspectives that drive modern rebellions. 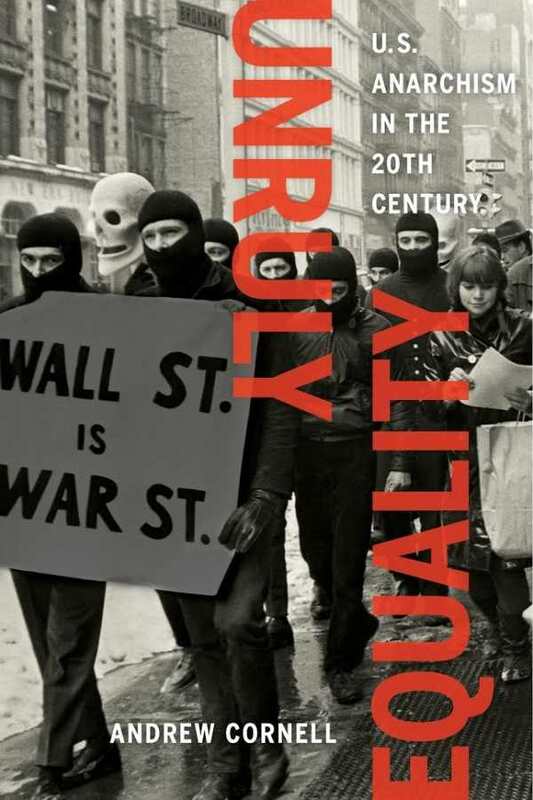 Unruly Equality: U.S. Anarchism in the 20th Century, by Andrew Cornell, is a thorough look at how the quest for less government—or none at all—has manifested and influenced life and government in America. Cornell covers anarchist thought and movements from World War I to the Vietnam War, as the climate shifted from classical anarchism (often individualist), covered in part one, to contemporary anarchism (which takes a more social bent), covered in part two. As he traces historical events, Cornell brings clarity to complicated terms and decentralized movements. Broadly speaking, anarchy is a practical and ideological ethic that is against authoritarianism, hierarchy, and oppression, and focuses on egalitarianism and liberty to challenge political, economic, and social structures. While anarchism is the primary stream of the book, Cornell necessarily weaves in the political and social issues that give anarchist movements shape and drive. The insights arising from his research are highly relevant to the anarchist spirit in today’s economic, racial, and other justice movements. For many modern Americans, anarchy is a vague concept, difficult to define, much less understand and embrace. Cornell’s meticulous documentation of anarchist ideals shows the value of this seemingly outsider perspective and the roots that drive what some might call rebellion. As an author of social history, Cornell shares both events and the ideas, both causes and effects, surrounding them. While Cornell’s approach and tone are academic, the book is very readable, making it accessible even outside his field of study. Cornell takes an open stance toward his subject matter and his audience. He passes the energy of his research along through the text, making Unruly Equality the antithesis of scholarly drudgery. Cornell’s book is a perfect fit for a broad array of social and political leaders and thinkers, from young activists who grew up scrawling anarchy symbols on their lockers, to academics who study the means and motives of social change. Through its attention and precision, Unruly Equality shows the heart and value of the positive accomplishments of anarchism in America.